Posted on April 8, 2019 at 4:39 pm. Ever stepped out on a bill at a restaurant or been a little late to pay back a friend? A Singapore high roller took skipping payment to a whole new level last year, leaving The Gold Coast Star without paying a $43 million gambling debt. The Queensland Casino is aggressively chasing the debt from Wong Yew Choy, who complained that the casino had made ‘errors’ during his incredible week-long binge. After staying at the casino for a five-day stint and losing almost $9 million per day, Mr Wong made an abrupt exit and cancelled a blank cheque that he had given to the casino as a deposit for his expenses and gambling losses prior to his catastrophic losses. 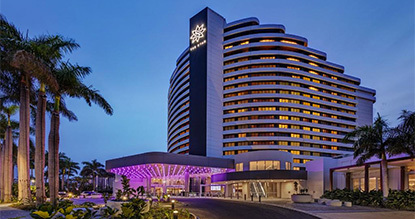 The Star has launched legal action in the Singapore High Court and public statement from the casino last week intimated that the resort was confident it would be able to force Mr Wong to pay his debts. “We would not be wasting the court’s time unless we felt our position was extremely robust,” the statement read. Wong Yew Choy was said to have predominantly played baccarat during his gambling spree and in his own statement to the the Casino, complained that the Star’s staff had made the diabolical error of ‘exposing a card when he had wanted to himself’. Predictably, in its submission to the Singapore High Court and Wong’s legal team, the Star pointed out that none of the ‘errors’ had any real bearing on his gambling losses. “This mistake, and the others you have experienced during your visit, have had no direct financial impact to you as, where necessary, appropriate compensation was provided at the time,” the Resort statement said.